The applications are invited from the candidates, who want to attend the fully funded 69th Lindau Nobel Laureate Meetings in Germany and Higher Education Commission (HEC) and Pakistan Institute of Engineering & Applied Sciences (PIEAS) support it. The International conferences in Germany 2018 is the fully funded and HEC and PIEAS support it and the undergraduates, graduates, post Doc students can apply for this program. It gives the unique opportunity to the talented and graduate students to increase their knowledge, set up their new contacts and make the new connections and discuss the relevant topics with their interactions with over 600 audience from all over the world. 69th Lindau Nobel Laureate Meetings are supported by the Higher Education Commission and Pakistan Institute of Engineering & Applied Sciences. The organizers will offer return airfare tickets. Lindau Nobel Laureate Meetings (Germany). The Duration of the Program is two weeks. Minimum 16 Years Education (Physics or Related). Researchers with throughout First Class academic career. Age up to 30 Years in General & 35 Years for Researchers including Ph.D. Holders. Post Docs should have published an outstanding research paper. 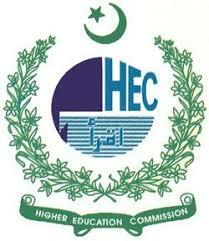 Shortlisted Candidates shall be interviewed in HEC, Islamabad. Nominations of Suitable candidates shall be sent to Lindau Council in Germany, which will make final decision. Candidates, who do not hold permanent faculty positions, will be preferred. The deadline for 69th Lindau Nobel Laureate Meetings is 26th August 2018. Application form is provided below. Submit your application form with supported documents (List of documents is given under application form).